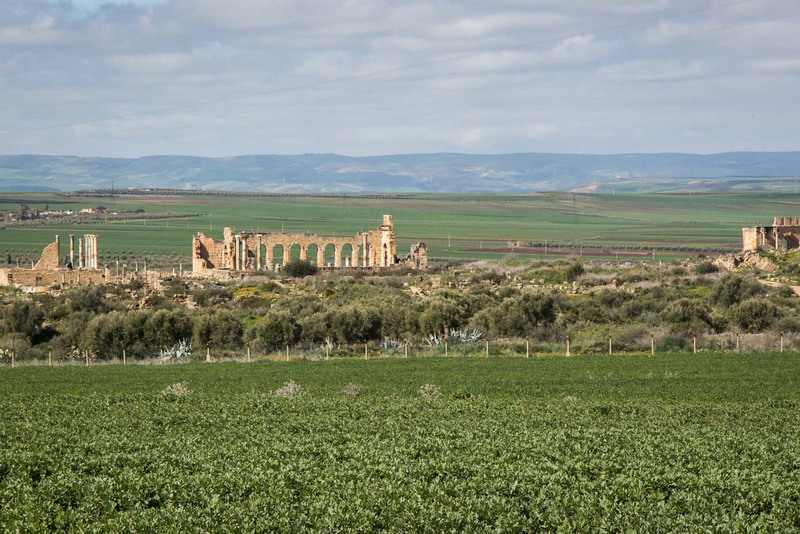 I would never have expected to have found Roman ruins in Morocco but, here in the middle of nowhere, what remains of a large town rises out of the countryside. 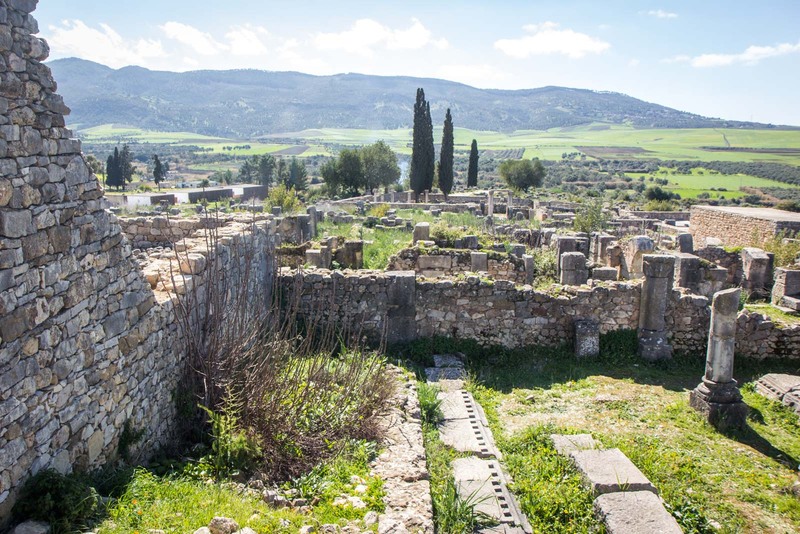 You can see the site of Volubilis from kilometres away. 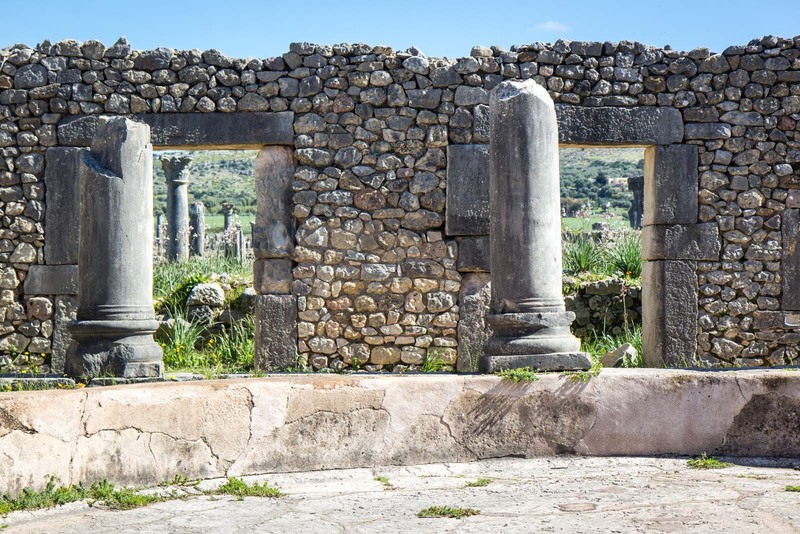 Even though this is quite a mountainous region of Morocco, the ruins are in an area of flat green plains and they’re easy to spot from the road as you approach or from the nearby town of Moulay Idriss. Why are they here? This would have been pretty much the extremity of the Roman Empire, not just across the sea… but then hundreds more kilometres inland. It would have been hard to protect and would have seemed like a far and isolated outpost. Yet, it wasn’t. The fertile lands of this part of Morocco were beautiful and perfect for agriculture. This wasn’t some kind of exile – this was an exotic paradise. 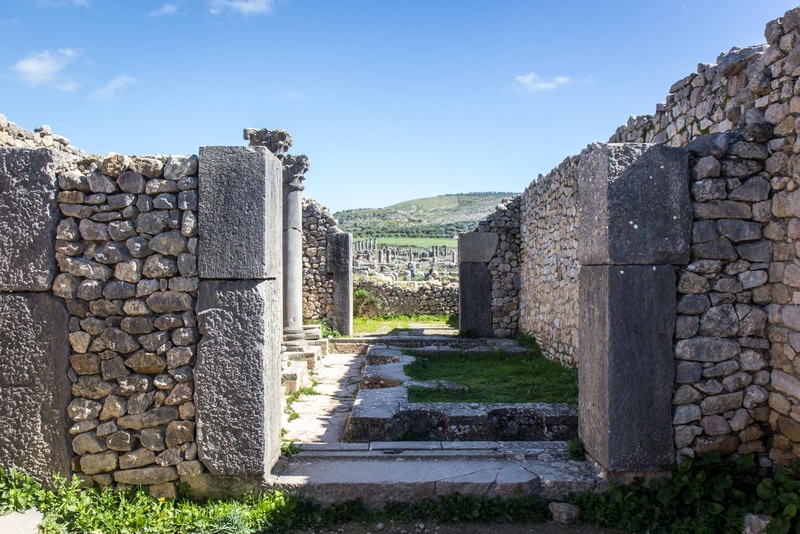 Although there had been a community here at Volubilis from the 3rd century BC, it was really from the 1st century AD that it expanded under Roman rule. It grew to a size of about 40 hectares – so large that a wall more than 2.5 kilometres long was needed to protect it. There was a basilica, a temple and even a triumphal arch – maybe not rivalling the one we know in Paris these days, but impressive for the time. It wasn’t just the public buildings which were striking here. 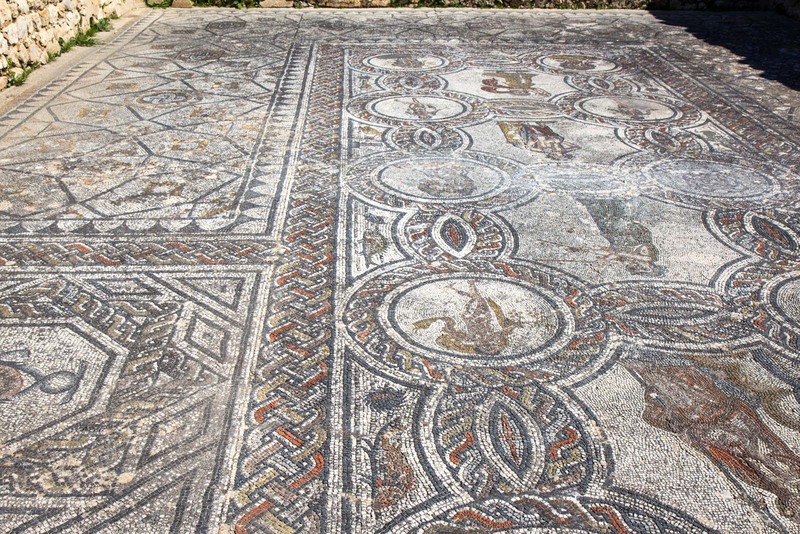 Even the houses of the residents – many of whom were clearly wealthy from selling the crops of this land – were fine structures with large mosaic floors. I spot one of the mosaic floors as I walk around the site, still clearly visible and in very good condition considering its age. 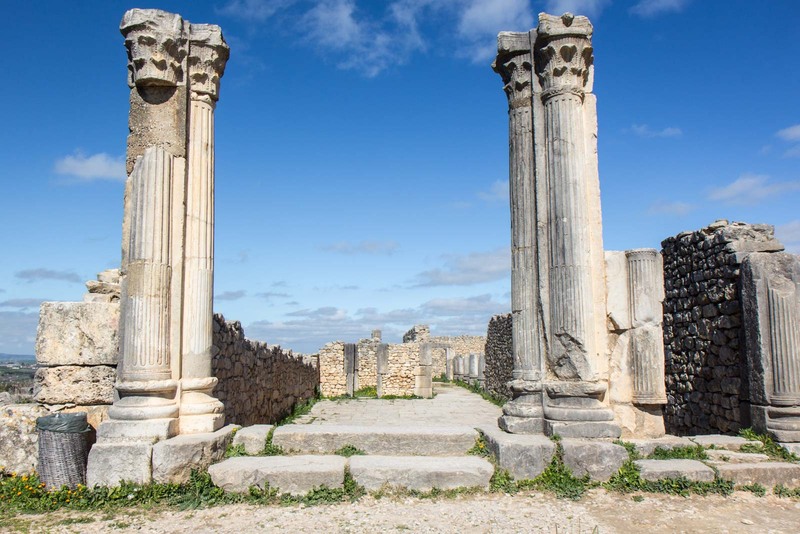 The same can’t be said for much of Volubilis, which is in ruins. But enough is still standing to appreciate how this ancient city would once have looked. As I came through the main entrance, after walking about 30 minutes from nearby Moulay Idriss, there were a few men who work as unofficial guides here. They must have some kind of agreement about taking it in turns to approach tourists because only one of them starts talking to me. He offer his services and I politely decline. He is insistent, following me and explaining why it would be better to go with him. I decline again and he becomes a bit more forceful, suggesting a price. 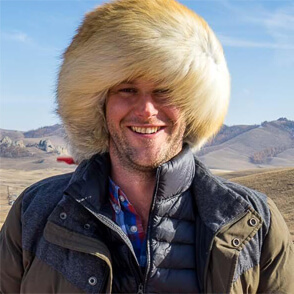 He is not aggressive and I’m sure it would be an interesting way to explore the ruins. I want to do it alone, though, and he eventually leaves me and goes back to wait at the gate for the next visitor. 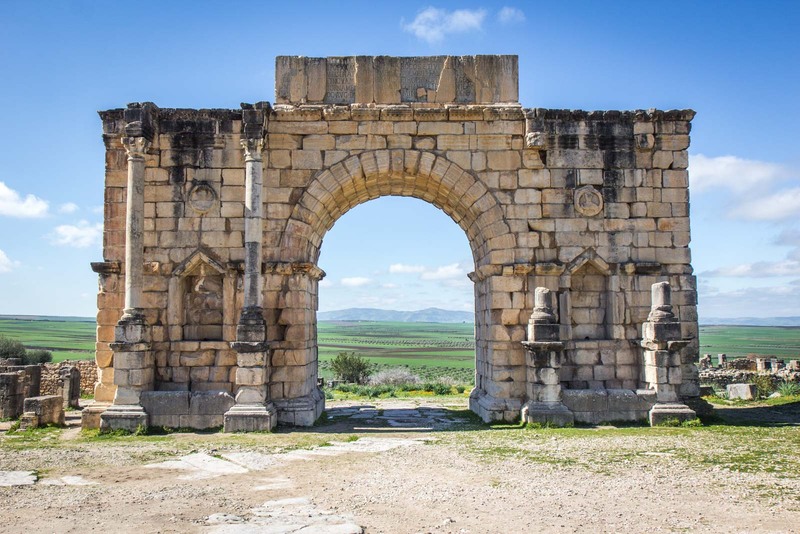 The reason I turn down the offer of a guide is because I am not so interested in the details of Volubilis today, but rather the sense of it. 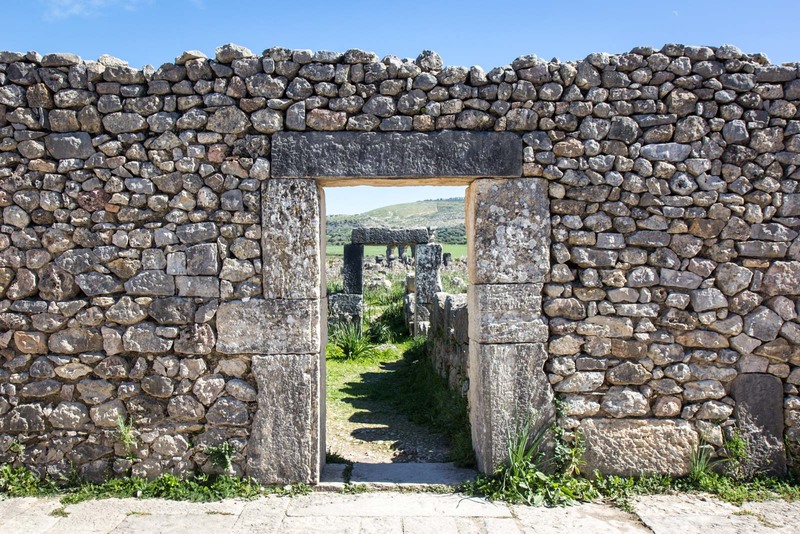 I want to walk by myself through these ruins and let my imagination reconstruct the city. Instead of having someone tell me what each structure would have been and what it would have been used for, I want to use my mind to build up the walls and put the ceiling back on top. I want to hear the noises in my head of a busy market square, of people rushing through the streets, and of the chants from the religious leaders. The site has only been partially excavated but, even if archaeologists tried to put it back together, it would be impossible to return it to some sense of its original layout. 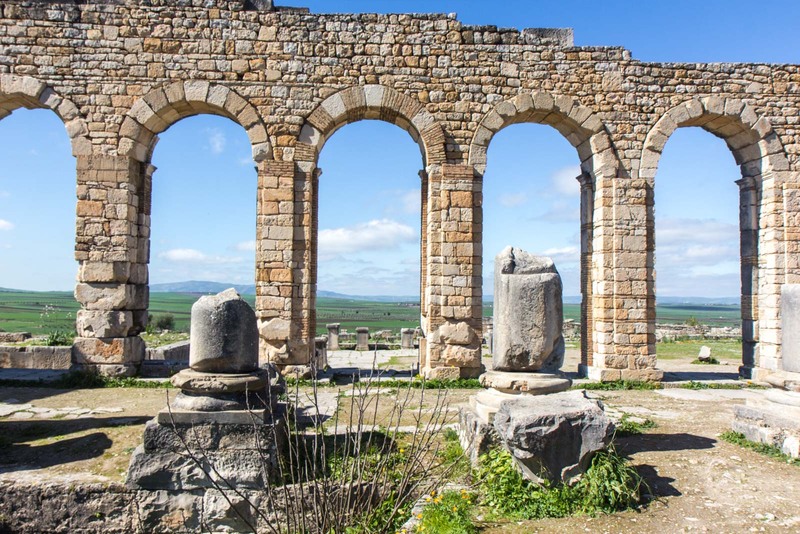 Many of the stones used to build Volubilis were looted by later Moroccan rulers to build their own cities and magnificent palaces and landmarks. Much of it went to nearby Meknes for the huge construction projects there. On a bright and warm day like today, though, I don’t worry too much about something like that. 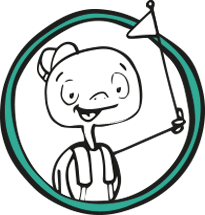 It’s pleasant walking around the site and it takes me more than an hour to explore all the different areas that I want to see. I climb up to some kind of stone platform in the central square and look out over the piles of rocks to the green fields that lay beyond them. The landscape is probably not too different to how it was back in the 1st century. Olives was the main produce then and I’m sure there are still some olive trees out there. 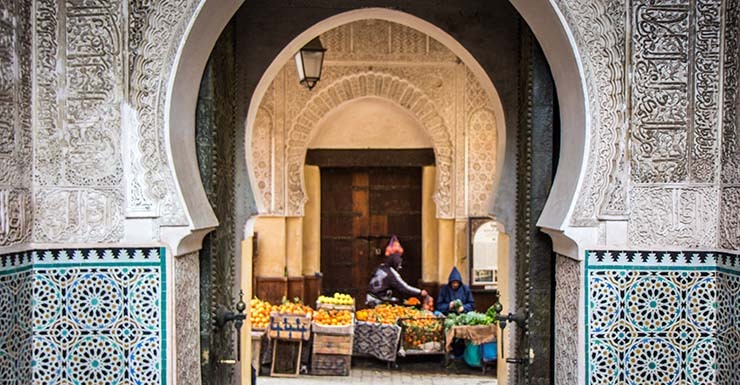 There’s certainly plenty of agriculture going on and there has been no major development in the area, except for the city of Moulay Idriss up on one of the nearby hills. No, this certainly wouldn’t have been an awful exile for the Romans who came here. This is a beautiful part of the world and far from the political and military clashes that their peers back in Central Europe would have been dealing with. So many Europeans these days seem to be buying grand holiday houses in Morocco. 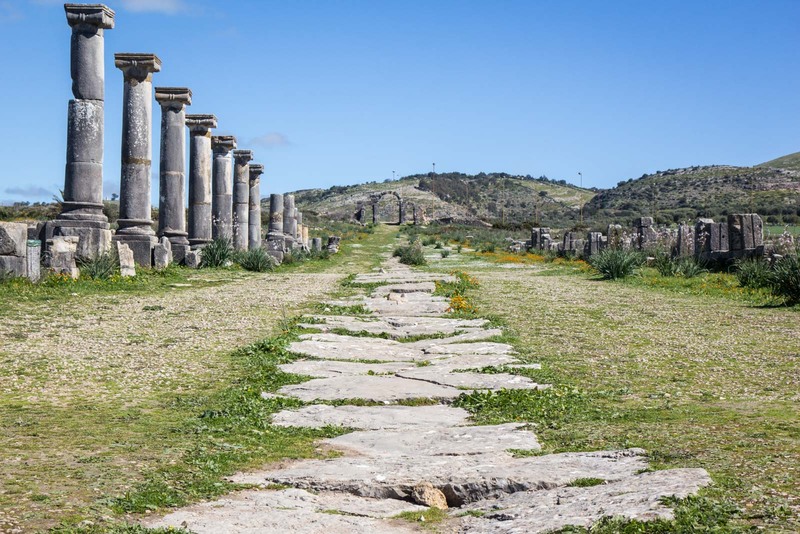 I guess Volubilis wasn’t too different to that back then. I love the pics. Great read. Thanks, Laura. I don’t think it’s a particularly famous place but it’s really worth a visit. Glad you liked the photos.